No matter the reason you decide to sell your home, you want the most you can get. There are numerous variables that factor into the value of your home, such as the age, location, amenities, local market, and more. Of course, it can be hard to show buyers how much your home has to offer if any of those factors are lacking. If you only have two showings, then you’re probably only going to get two offers. Instead of having to settle for a lower price then you think your home is worth, use these tips to help get more showings and, hopefully, better offers. Since you can’t really change the location of your home, you need to do everything you can to make it as appealing as possible. According to the 2017 Houzz Landscaping Trends Study, 16% of homeowners believe that exterior lighting in the front yard is most essential aspect of boosting curb appeal. 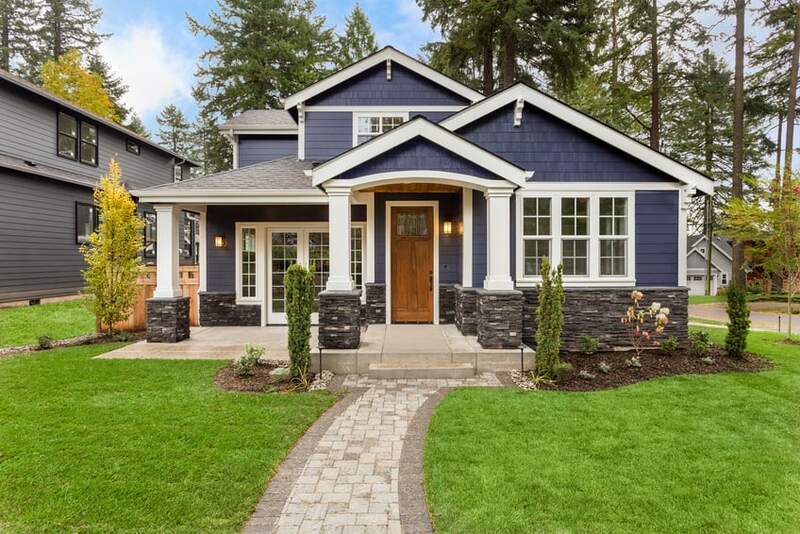 While you can add pathway lights, flood lights, string lights, and other types of landscape lighting that really makes your home shine, most potential buyers will visit during the day. To impress these buyers, consider a fresh coat of paint. Likewise, make sure your lawn and landscaping is in full bloom. Now that the outside of your home is more appealing, it’s time to head inside. One of the most common things that prospective buyers look for in a home is updated appliances. In fact, 90% of people stated that Energy Star appliances were a must-have feature on their wish list, according to a 2016 survey by the National Association of Homebuilders. If you’re still working with appliances from the 90s or earlier, it might be time to go shopping. Look for the Energy Star logo and pick appliances that will not only add to the aesthetics of your home, but will also help make it more energy efficient. If your home has any outstanding issues that will come up during your home inspection, it might be in your best interest to have them corrected now. Usually, if a defect is revealed in the inspection, one of two things will happen: you will have to pay to get it fixed, or the buyers will use it as a negotiating tactic to save money. Instead of waiting for that to happen, go ahead and do the repairs now. If you have a leaky septic tank, for instance, it might behoove you to have an expert come and repair or replace it before you start showing your home. Not only are land-based sources, such as septic tanks, responsible for 80% of annual marine pollution, but you don’t want any smelly surprises when you’re trying to sell your home. You don’t have to throw everything away, but you don’t want your home to be packed with all of your things if you’re trying to sell it. Clutter makes your home look smaller, resulting in smaller offers. Consider renting a storage unit for all of your belongings while you try to sell your home and leave just the basics behind. Furniture and neutral decor are about all you want to leave in the house during showings. Prospective buyers want to imagine themselves living in your space; too much clutter makes that impossible. If you want to be present during all of your showings, then you’re going to limit yourself dramatically. Instead, set up a lockbox with your house key that real estate agents can use to show your home to their clients. That way, you have more than one agent working to sell your home and you’re making it convenient for both the agents and the prospective buyers. Lastly, you want to find a real estate agent who is experienced and knowledgeable about the market in your area. They can help you stage your home correctly, price it right, sell it at the right time, and everything else that you haven’t thought of. The average home was sold within just four weeks of being listed in 2016, but we’re currently living through a particularly intense seller’s market. That’s good news for sellers, so follow these tips and you could be walking away with a pocket full of cash and a smile on your face.